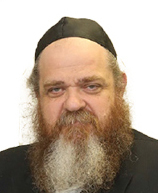 Rabbi Shmuel Yaakov Klein, originally from Toronto, was a mechanech in that city for 34 years – including 22 as a menahel – before assuming his current positions as Torah Umesorah's Director of Publications and Communications and Director of the Zechor Yemos Olam Holocaust Education Division. Rabbi Klein, a Gerrer chassid, was a talmid and musmach of Harav Yaakov Weinberg, zt"l, as well as a talmid of Harav Dov Schwartzman, zt"l.
Rabbi Klein is an author of numerous published works and a regular columnist for both Hamodia and Yated. He is an accomplished magid shiur and sought-after speaker with extensive experience in child and adult education, teaching & classroom methodology, hashkafah, Holocaust Studies, and teacher training. Rabbi Rubinfeld has been in the field of Torah education for over 3 decades and serves as an Executive School Consultant for Torah Umesorah. He provides an array of services to schools across North America, including teacher and principal mentorship, school and curricula evaluations, professional development and parent education. Rabbi Rubinfeld's expertise includes classroom management and discipline, effective instruction, bullying, cultivating sensitivity in the classroom, impulse disorders (such as ADHD and ODD), and balancing the educational needs of mainstream and special needs children in the classroom. Rabbi Rubinfeld is the also the founder and director of Torah Umesorah's Lilmod U'Lilamed department which provides professional development for teachers and principals throughout the year. 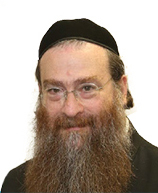 Rabbi Rubinfeld is a talmid of the distinguished Yeshivos of Yeshiva Rabbi Chaim Berlin, the Mirrer Yeshiva in Yerushalayim and Bais Medrash Govoha in Lakewood. Mrs. Rochel Zimmerman serves as the Director of Torah Umesorah's National Council of Yeshiva Principals for Women. Renowned for her insight, knowledge, and experience in chinuch, she provides coaching for principals and teachers and facilitates professional development for educators across North America.  Mrs. Zimmerman has over twenty years of experience in school leadership, administration and school-based consulting. Her areas of expertise include effective communication, behavior modification, lesson design, classroom management, and instructional supervision and leadership. She also facilitates parenting workshops, empowering parents in their parenting skills with a particular focus on children's social-emotional needs and development. Mrs. Zimmerman holds certification in education from the Ontario Arts Council in Canada. Prior to joining the Torah Umesorah Executive staff in 2008 as a School Consultant, Rabbi Levy served as a classroom instructor and educational leader. His work at Torah Umesorah includes, "School Solutions- Training and Consultation in Leadership Instruction and Communication". 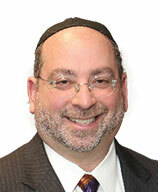 Rabbi Levy is a talmid of Yeshiva Chofetz Chaim and Rabbi Berel Wein. In addition to smicha, he holds a Bachelors in Communication and a Masters in Education.